Editor’s Note: Hey everyone, Corbin here. Keeping up with your Magic is a serious commitment, and isn’t cheap. 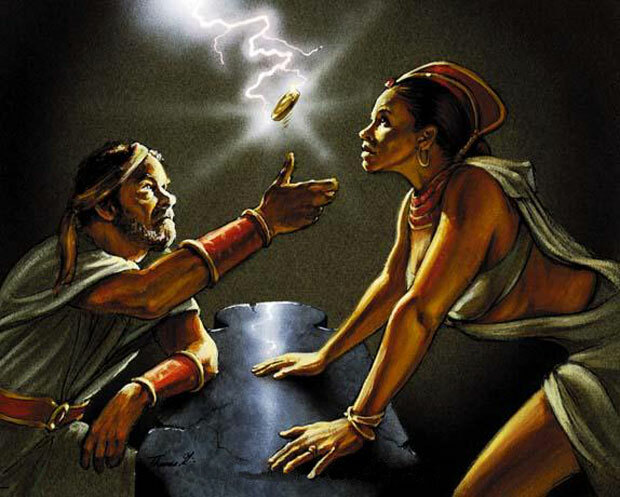 While this is a fun article that pokes fun at some of the “mtgfinance” stereotypes, there are a lot of useful tools and helpful authors to help keep you ahead of the game when it comes to maximizing your money in Magic. We do a lot that here on MTGPrice, but we know that taking a step back and laughing is healthy as well. With that in mind, enjoy! Hey Guys! I’m sure the title of this article grabbed you guys faster than an underpriced Ebay auction. I’m here today to write a piece about why you should be working for a real company instead of trying to make mtgfinance millions on cardboard crack. After a recent debate on Twitter, I decided to write a short piece about why it’s much better to be a cubicle monkey than risk it all grinding the tables of a GP or trying to hit the next big spec. 1. 401ks and Health Coverage. Should you decide to risk your future grinding Magic, there’s a couple things about reality that are going to slap you in the face. You know that sweet 400% return you just made on Worldbreaker? Well, you’re going to need to sell a couple hundred copies to pay for that cavity you got while eating convention center food and forgetting to brush your teeth the last 300 days. Also, who needs a retirement fund? Well, actually everyone. You can’t guarantee that Magic will still be around in 50 years and that GPs will still exist in their current form. They might even release Version 5 of MTGO by 2065! 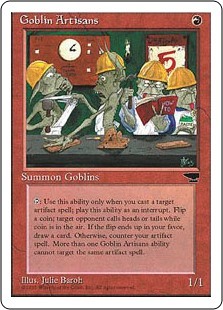 Let’s say that Otto Ogre sells $4,000 of magic cards a month with a profit margin of 20% on those cards. Congrats! You make poverty wages while the IRS thinks that you’re making quite a bit more before you show them receipts of what you spent! Oh wait, you didn’t keep your receipts? Looks like penalties and audits have Storm in the real world! On top of that, what if you have a bad GP experience? I don’t think the phone company accepts bulk rares, and you can’t buylist a bunch of cards to many shops in your area for real prices. Have fun waiting 10 days for Channel Fireball to process your cards and send you a check in the mail. And don’t forget what can happen if your cards aren’t Near Mint! It’s great that you traded up $750 in a weekend at a GP. However, you still need to get money for those cards, which in most cases leaves you with selling back to a vendor. Plus how many hours did you put into trading over the weekend? Forty-five hours? You could’ve saved yourself a drive and made more working for the Golden Arches instead of trading for those Golden Myrs. I enjoy counting pennies as much as the next person, but the only thing you’re going to be counting is food stamps if you choose to live life as a GP Grinder. You know that one card that your buddy was testing for a Pro Tour? Well now you’re sitting on a couple hundred copies of Mana Bloom and you still need to pay rent for that place that doubles as a Magic card closet. Not every card can be a Sphinx’s Revelation, but you should have had a revelation by now that speculating isn’t easy money. The only thing you’ll be seeing is your profit going red with your bills blooming out of control. The next thing you know, all the “hard” work that you put in will have crumbled to dust. You know what really impresses people? Telling them you hustle cardboard in a sweaty , crowded convention center every weekend. I hope that gets you really far in your dating life as well, because you’re going to need a really heavy Briber’s Purse to keep that relationship going with a Muggle. Your kids are going to really look up to Daddy being gone every weekend, trying to Becvalue his way to extra diapers for them. But you could get lucky! If you somehow get demoted to being a buyer for a store at a GP, you could get McDoubles instead of a single cheeseburger for every meal! What a truly generous feast. In all seriousness, for all of the basement dwellers reading this article, you should go to college. .001% of all people reading this “article” on MTGPrice can actually do MTGFinance for a full-time living. Save your parents another four years of disappointment and work on a career, and not delusions of “MTGFinance job”. 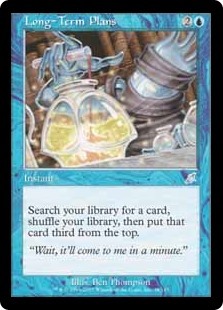 Choosing MTGFinance is like selling cards at SCG Prices. It feels bad, and you look bad. Saying that you’re self-employed is almost as bad as an idea as buying 200 foil Illusionist Bracers. Work on investing in better cards, and work on investing in a better future for yourself. I hope you have enough cards to put a down payment on a house, or car. You also can have fun looking through job websites with nearly no marketable skills after your six-month stunt lands you into declaring a Chapter 11 (hint: that’s bankruptcy). 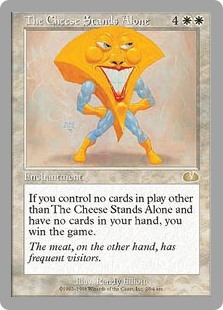 To summarize, stop refreshing the #mtgfinance tag on Twitter and incessantly checking MTGStocks. You guys are already smarter for having read this “article.” Take a deep breath, think your options over, and stop living in Dominaria. Otherwise, you’re in for a truly Gruuling life. Yea. Not really satire, but reality for 90% of the people who sub to these Reddit. Great points Xemit. Magic is a fun hobby and mtg finance is a great way to fund that hobby. But 99.999 percent of us need to remember it’s a hobby. Sure it can even make a little extra money on the side to pay down a credit card or put a down payment on a car or a house as you said. But your point about taxes is huge. Unless you run a game store that holds plenty of tournaments or supplements income with high margin collectibles, it’s not a living. The minority that speculating actually makes any profit for the stuff you mentioned is abymally small. There is however a very large percentage that lie about this supplementing anything. Great article. It was a breath of fresh air and a reality check that a lot of people need. This article was great, but it didn’t answer my real question – How do I properly insure my $500 collection? Not positive if serious question or not, but since it is common I’ll answer: A rider on your home insurance. It’s pretty easy with most insurance companies (speaking from US perspective). They ask for a value to insure, you take pictures of your collection, and then pay X a month. Likely a deductible as well should something happen. It’s not a serious question. Thanks for Posting this Corbin – I would like to see an actual article on this topic – it’s something that I’ve written about and asked about in the past. Myself – I have retail value of about 10k that I’m getting increasingly worried about – and need to set up a project to get this taken care of insurance wise, because I’m a risk averse person, and am going through a transitional phase in my life when 4,000-6,000 cash would go a long way to help things out. So with all of the irony abound, I appreciate your post, as it is actually relevant. I wouldn’t suggest wasting money on insuring a standard deck worth of cards. But I’m a serious collector! I need to protect my investment. Good article. 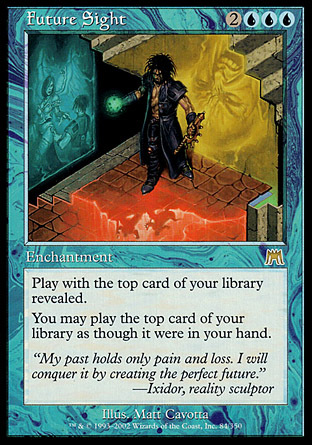 I think MTGFinance is a great way to earn a supplemental income but is a poor choice as a full time job unless you actually own a card store. I work full time as a software engineer and the $20k or so profits I make per year from MTG is a nice supplemental income, but in no way could I ever support myself and my family on it even if I was 100% dedicated to it full time. Great article, and a nice wakeup call. That said, quite hapy with making a little extra change in my spare time. And it’s a fun side hoppy next to the real job ^^ But yes guys, get a real job. Nice if you end up being able to drop it in favour of magic, but otherwise it is best to have your back covered.